JACKSONVILLE, Fla., Sept. 16, 2015 /PRNewswire/ — Building on its record of leading sustainability performance in the transportation sector, CSX was named to the Dow Jones Sustainability Index for North America for the fifth consecutive year. CSX is the only U.S. railroad recognized by the Dow Jones Sustainability Index for North America and among just four transportation companies on the 2015 list. CSX showed strong performance across the assessed criteria, specifically in the areas of environmental policy and management system, fuel efficiency, climate strategy, corporate governance, and stakeholder engagement. The index is a partnership between the Dow Jones Indexes and RobecoSAM Sustainability Assessments, which tracks the financial performance of the world’s leading companies according to rigorous economic, environmental and social criteria. In 2014, CSX achieved record-setting fuel efficiency and has reduced greenhouse gas (GHG) emissions intensity by 4.5 percent since 2011, bringing the company closer to its voluntary goal of reducing GHG emissions intensity by six to eight percent from 2011 levels by 2020. In addition, CSX invested more than $18 million in community organizations in 2014 and logged nearly 25,000 volunteer hours working with national and local organizations to support safety, environmental, community and wellness initiatives across its network. 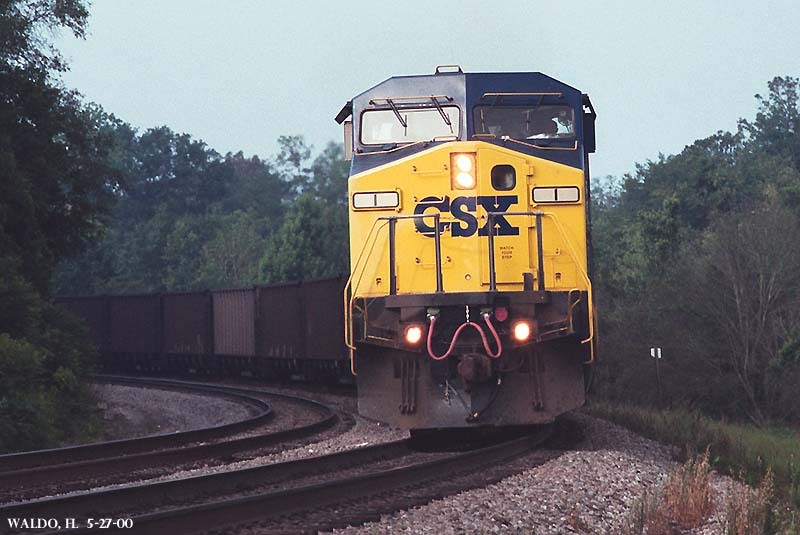 To learn more about sustainability at CSX, view the company’s most recent Corporate Social Responsibility Report at: http://www.csxcsr.com. CSX, based in Jacksonville, Florida, is a premier transportation company. It provides rail, intermodal and rail-to-truck transload services and solutions to customers across a broad array of markets, including energy, industrial, construction, agricultural, and consumer products. For more than 190 years, CSX has played a critical role in the nation’s economic expansion and industrial development. Its network connects every major metropolitan area in the eastern United States, where nearly two-thirds of the nation’s population resides. It also links more than 240 short-line railroads and more than 70 ocean, river and lake ports with major population centers and small farming towns alike. More information about CSX Corporation and its subsidiaries is available at CSX.com. Like us on Facebook (facebook.com/OfficialCSX) and follow us on Twitter (twitter.com/CSX). Can Rite Aid Stock Hit $10 by Year End?